The Grocery Station is Houston's Favorite Grocery Shopping and Delivery Service! Since 2011, we've been making Houstonians happy through personalized grocery shopping and delivery! 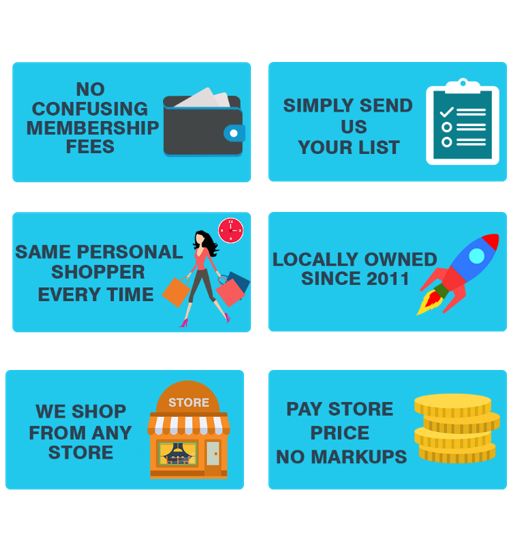 We shop from whichever grocery store you designate! No tedious virtual “grocery aisles” to navigate here! Instead, you get a personal shopper, in fact the same consistent shopper each time. We get to know you! 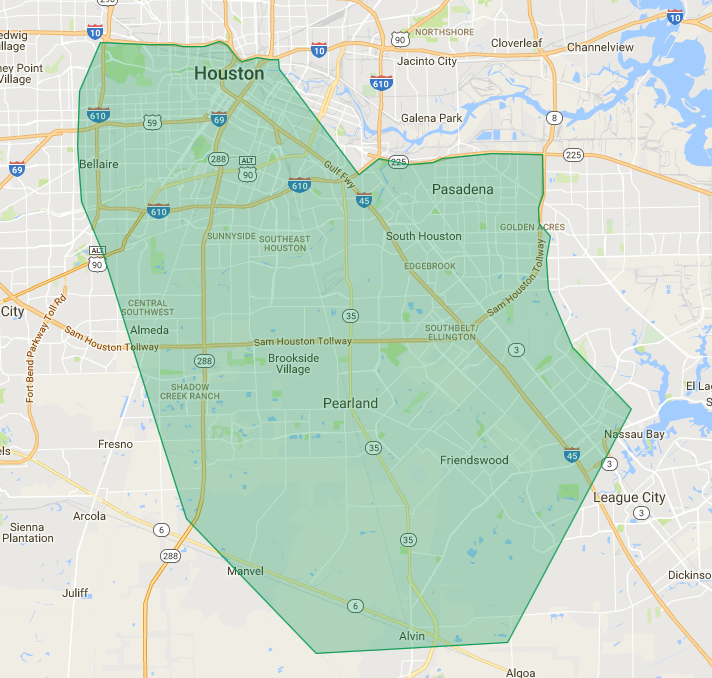 We are the ONLY grocery delivery service in Houston that doesn’t mark up the grocery costs. No tricky database to navigate. No large overhead. Our personal service has been what’s done the trick for us, so we’ve maximized our accessibility to meet our customers’ needs. Place your grocery order at the Shop Now pages. Please note that we do not purchase cigarettes. Your personal shopper will contact you for clarifications, time and date of deliveries. We shop and deliver your groceries from the store you designate, so we won’t know your final grocery charges until we shop for you. Upon delivery, you review and agree to final charges, and your credit card will be charged the final amount. We can also set your order to automatically deliver on the same time and date weekly so you really never have to think about it again. To do this, just ask your personal shopper. 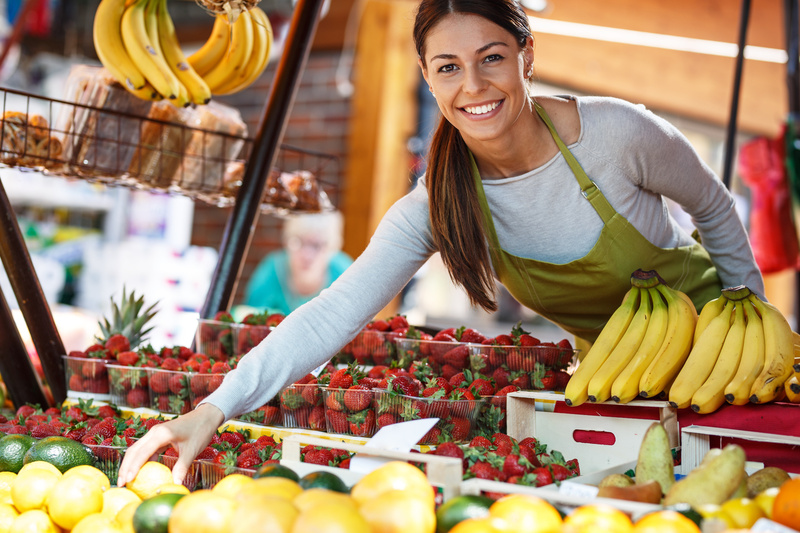 If you’d rather have curbside delivery at the grocery store, (Saves the $5 delivery fee and lets you swing by after work), just let your shopper know once you’ve been in contact. 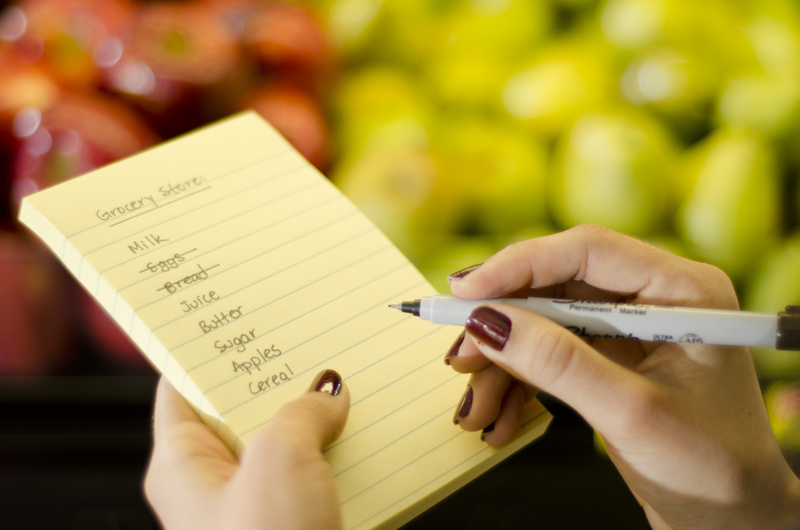 For grocery store deliveries, you only pay for your grocery costs plus a shopping fee and a delivery fee. For orders under $50, the shopping fee is $12 per order. For orders over $50, the shopping fee is 20% of your total grocery bill. Delivery fees are $5 for each grocery store you ask us to shop from within 5 miles of your home within our service areas (Yes, we’ll shop at a few different ones if you need us to run around for you!). FIRST TIME ORDERS REQUIRE A REFUNDABLE $50 deposit (returned on the first order). PLEASE NOTE: IF YOU USE A CREDIT CARD FOR PAYMENT, YOU MUST PRESENT A CREDIT CARD AND PHOTO ID UPON DELIVERY. CASH ALSO ACCEPTED. NO CHECKS PLEASE. IF YOU’RE ORDERING FOR SOMEONE ELSE (a student, a sick friend, etc), YOU ARE WELCOME TO PURCHASE OUR GIFT CARD ONLINE. PLEASE see the FAQ pages if you have additional questions…. Please see our delivery map below. We can deliver outside of these areas, at an additional delivery charge. Please email us at info@thegrocerystation.com (for Clear Lake/Friendswood Areas and Central Houston) or swhoustoninfo@thegrocerystation.comif you’re not sure we serve your area. If you have any questions, contact us! Especially before you make your long list and submit your deposit!